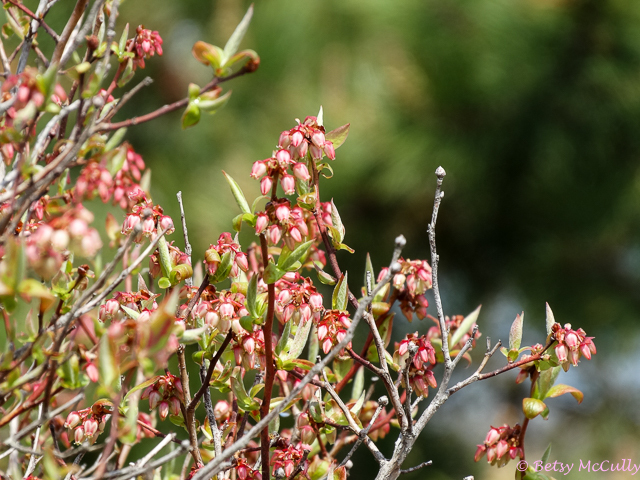 Black huckleberry (Gaylussacia baccata). Ericaceae family. Native. Shrub. Open, dry woods, meadows and fields. Widespread. Napeague Dunes, Long Island, 2018. This individual associated with cranberry.